1977 1978 1979 Ford F-100 F-150 F-250 Ranger Free Wheeling Truck got the job done! This kit is patterned from an original OEM Free Wheeling decal and stripe kit. 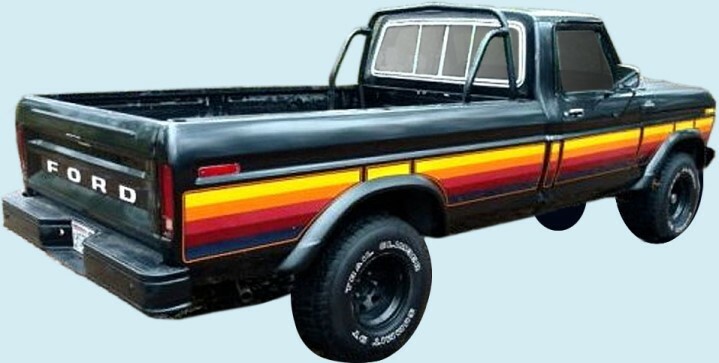 Get a complete 5-Color, OEM quality, inexpensive restoration decal stripe kit while quantities last.